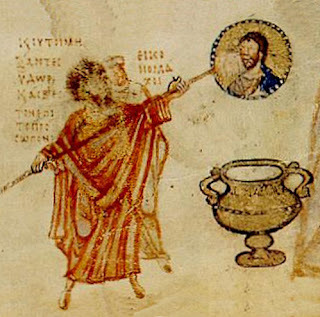 Stump the Priest: Did the Early Church Venerate Icons? Question: "Isn't the fact that there were controversies over icons well into the 9th century proof that the early Church did not venerate icons?" There were indeed controversies at various times, most notably the Iconoclastic controversies of the 8th and 9th centuries, but these controversies were primarily focused on the question of whether one could have icons at all. Even the iconoclasts did not object to the veneration of the Cross, or other holy objects. Their problem with icons was that they considered them inherently objectionable, regardless of whether they were being venerated or not. In fact, there was never any movement of Christians that accepted iconography, but rejected their veneration, prior to the Protestant Reformation. "In some of the paintings of the venerable Icons, a lamb is inscribed as being shown or pointed at by the Forerunner's finger, which was taken to be a type of grace, suggesting beforehand through the law the true lamb to us Christ our God. Therefore, eagerly embracing the old types and shadows as symbols of the truth and preindications handed down to the Church, we prefer the grace, and accept it as the truth in fulfillment of the law. Since, therefore, that which is perfect even though it be but painted is imprinted in the faces of all, the Lamb who taketh away the sin of the world Christ our God, with respect to His human character, we decree that henceforth he shall be inscribed even in the Icons instead of the ancient lamb: through Him being enabled to comprehend the reason for the humiliation of the God Logos, and in memory of His life in the flesh and of His passion and of His soterial death being led by the hand, as it were, and of the redemption of the world which thence accrues" (Canon LXXXII of the Quinisext Council). And it is also a fact that archaeological evidence shows the ubiquity of Christian iconography going back to the catacombs. Clearly those who objected to iconography were outside of the Christian mainstream. What made icons controversial in the 8th and 9th centuries was the rise of Islam, and the desire of the iconoclastic emperors to bring those who had converted to Islam back into the Christian fold -- and icons were seen as an obstacle to this. It is also not coincidental that the iconoclastic emperors all came from parts of the empire in which Islam had made significant inroads. When you add all these references together, it is clear that there were Icons everywhere you turned in Israelite worship. But some will object: "Isn't bowing before an icon and kissing it forbidden by the Second Commandment?" The issue with respect to the 2nd commandment is what does the word translated "graven images" mean? If it simply means carved images, then the images in the temple would be in violation of this Commandment. Our best guide, however, to what Hebrew words mean, is what they meant to Hebrews -- and when the Hebrews translated the Bible into Greek, they translated this word simply as "eidoloi", i.e. "idols." Furthermore the Hebrew word pesel is never used in reference to any of the images in the temple. So clearly the reference here is to pagan images rather than images in general. "Thou shalt not make unto thee any graven image (i.e. idol), or any likeness of anything that is in heaven above, or that is in the earth beneath, or that is in the water under the earth. Thou shalt not bow down thyself to them, nor shalt thou serve (worship) them..." (Exodus 20:4-5). Now, if we take this as a reference to images of any kind, then clearly the cherubim in the Temple violate this command. If we limit this as applying only to idols, no contradiction exists. Furthermore, if this applies to all images -- then even the picture on a driver's license violates it, and is an idol. So either every Protestant with a driver's license is an idolater, or Icons are not idols. Leaving aside, for the moment, the meaning of "graven images" lets simply look at what this text actually says about them. You shall not make x, you shall not bow to x, you shall not worship x. If x = image, then the Temple itself violates this Commandment. If x = idol and not all images, then this verse contradicts neither the Icons in the Temple, nor Orthodox Icons. Abraham bowed himself before the people of Hebron (Genesis 23:7, 12); Joseph’s brothers bowed before him (Genesis 42:6; 43:26, 28); and many other examples could be cited that show that bowing was an expression of respect, and bowing to idols is only objectionable because the object in question is in fact an idol, an image of a false deity. And kissing holy things is a very common act of devotion among Jews to this day (see: Kissing: An Act of Religious Devotion, by Rabbi Hayim Halevy Donin (From To Pray as a Jew: A Guide to the Prayer book and the Synagogue Service, (New York: Basic Books [Harper Collins], 1980), p.43f). There is no reason we should assume that the early Christians would not likewise have bowed before and kissed holy things, like their Jewish forefathers. And icons of saints or Biblical scenes would have been given the same veneration that the texts of Scripture were given. The Icon FAQ: Answers to common questions about icons (this article is especially important, and has extensive hyperlinks to other articles relevant to this question). I recently gave a lecture at the St. Herman's youth conference in Albany, New York on the subject of Answering Atheists. At Archbishop Gabriel's request, I first spoke briefly about how I became Orthodox. You can listen to the lecture by clicking here. You can read a more detailed account of my conversion by clicking here. You can also read an article that I mentioned about the question of the violence of the Old Testament by clicking here. You can read about the 2013 Finnish study on Atheists by clicking here. You can read St. John Chrysostom's "A Treatise to Prove that No One Can Harm the Man Who Does Not Injure Himself," by clicking here. Note: While I disagree with Fr. Gregory Hallam on the issues I will address in this article, I appreciate the fact that he produces the podcasts that he does, which are generally very informative. Mark 5:1: "the country of the Gerasenes..."
Matthew 8:28: "the country of the Gadarenes..."
Luke 8:26: "the country of the Gerasenes..."
It should be noted that the readings in Mark and Matthew are rated "C" in the United Bible Societies text, and the reading is Luke is rated a "D." In that text an "A" reading is one that the editors are very sure of, "B" is less sure, "C" is more questionable, and "D" is the lowest rating that they give to a reading that they adopt in their text. Mark 5:1: "the country of the Gadarenes..."
Matthew 8:28: "the country of the Gergesenes..."
Luke 8:26: "the country of the Gadarenes..."
The evidence for these readings are very strong, though there is some support for "Gergesenes" in Mark 5:1. But in any case, any way you slice it, we have at least two names in the Gospels for this place. It should be noted that in none of these readings do we find it speaking of a city directly associated with these names, but rather it speaks of "the country of...", which is a very general description of the place. The Tradition of the Church tells us exactly where this miracle took place -- the present day Kursi, or Kersa, which was known in ancient times as "Gergesa," which is on the eastern shore of the sea of Galilee. This place fits the narrative perfectly. And yet this place was probably not well known, and so it is described as being in the region of the Gadaranes (i.e. the district of Gadara -- which was the chief city of the area at that time, and would have been generally better known). The textual variations are most likely due to the fact that you had two place names found in the Synoptic Gospels, and some scribes attempted to harmonize them. But does this mean that at least one of these names is wrong? No. This area was a pagan area, and so there were no doubt Greek names for the locations in this area, but Aramaic speaking Jews would have used some variation of those names. I live in Spring, Texas (which is also where my parish is), but Spring is actually not an incorporated city, and so is really governed by Harris County, though Houston is the city that dominates Harris County, and the City of Houston has some extra-territorial jurisdiction over this area (as I discovered much to my irritation during the permitting process for the construction of our current Church building). When people ask me where I live, depending on how much time I have to explain, and whether or not I think they have any idea of the local geography, I sometimes will tell them that I live in Houston, simply because most people don't know where Spring, Texas is, and it is in fact part of the Metropolitan Houston area. So I could say that I live in Spring, Texas, or Houston, or Harris County, and yet all three statements would be true -- and this is true without mixing in the question of variations on place names due to the transmission of those names through different languages. If you watch this video from the beginning, you will see that it addresses some other claims of geographical errors in the Gospel of Mark, and does so very handily. Fr. Gregory alludes to another claim, made by Bart Ehrman, that the Gospel of Mark is in error, when it says in Mark 7:3 that the Jews would not eat with unwashed hands. The video above addresses that claim just after the 20 minute mark, and it points out that this claim is baseless, and that there is ample extra-biblical evidence of this being the common practice of the Jews of that period. Furthermore, Fr. Gregory references the claim that St. Mark erred in Mark 10:12, by speaking of women divorcing their husbands. It is argued that Jewish law made no provision for a woman to divorce her husband, and so therefore, St. Mark clearly didn't know what he was talking about here. However, this ignores the rather notorious example of Herodias, who divorced her first husband in order to marry Herod, her brother-in-law. That this happened is recorded not only by the Gospels, but also by the Jewish historian Josephus. The above video addresses this question about the 24 minute mark. So it is not simply a matter of fact that St. Mark erred in his Gospel. Geography is geography, but when you are talking about the names of places in a region that has experienced more than a few cultural upheavals in the past 2000 years, it is not simply a matter of getting out a map and proving that St. Mark made an error. In fact, on closer inspection, the geography of St. Mark's Gospel is very accurate, and provides a great deal of evidence of its traditional origins as an account written by St. Mark but based on the recollections of St. Peter. Here addresses the question of the story of the Demoniac in Mark 5 beginning at just before the 30 minute mark. 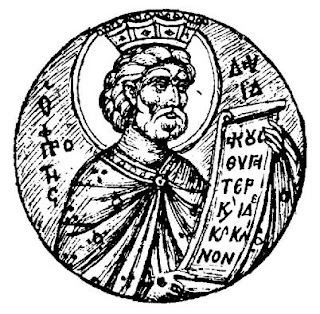 He assumes that the reading of "Gerasenes" is correct, but provides a very plausible explanation for how that name would not refer to the city of Gerasa, as Fr. Gregory assumes, but to the region of the eastern shore of the sea of Galilee. The entire lecture is well worth listening to. Regardless of how one decides the textual issues I mentioned, there is no reason why an Orthodox Christian needs to conclude that the Gospels are in error. The Tradition of the Church clearly teaches us that the Scriptures are without error. * When we see something in Scripture that seems problematic, we may or may not always know how to definitively resolve the question of how to explain the problem, but the faith of the Church is that the Scripture is without error, and it is contrary to that Faith to make assertions to the contrary. *For those who assert that the Orthodox Church does not affirm the inerrancy of Scripture, I refer you to the quotations from the Fathers in the article on inerrancy below, and challenge anyone to produce a single instance of a Church Father that asserted that there were any real errors in Scripture. Update: Just today there is news of new archeological evidence in support of Kursi as the location of the miracle in Mark 5: Archaeologists Find Hebrew Letters Engraved on Tablet at Jesus Miracle Site. Question: "Now that the Christmas season has begun — in our secular society called the “holiday season” — there are parties held at workplaces. But we are fasting, and the celebration of the Lord’s Nativity does not comes until December 25/January 7. How would you counsel Orthodox Christians on this subject?" In the past 50 years, American culture has gone from the older practice of putting up Christmas decorations on Christmas eve, and then celebrating Christmas on the actual day (albeit New Calendar), and continuing that celebration through either New Year's day, or Epiphany (what we usually call Theophany) on January 6th. 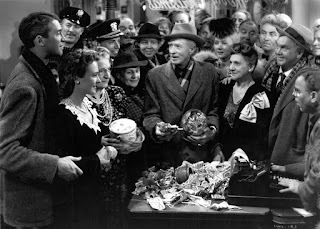 This is evident from the older classic Christmas movies, such as "It's a Wonderful Life," "The Bishop's Wife," and even the Charlie Brown Christmas Special (the next time you watch these movies, pay attention to when the Christmas Trees are being decorated). Of course during the period leading up to Christmas there has always been a great deal of anticipation and preparation. 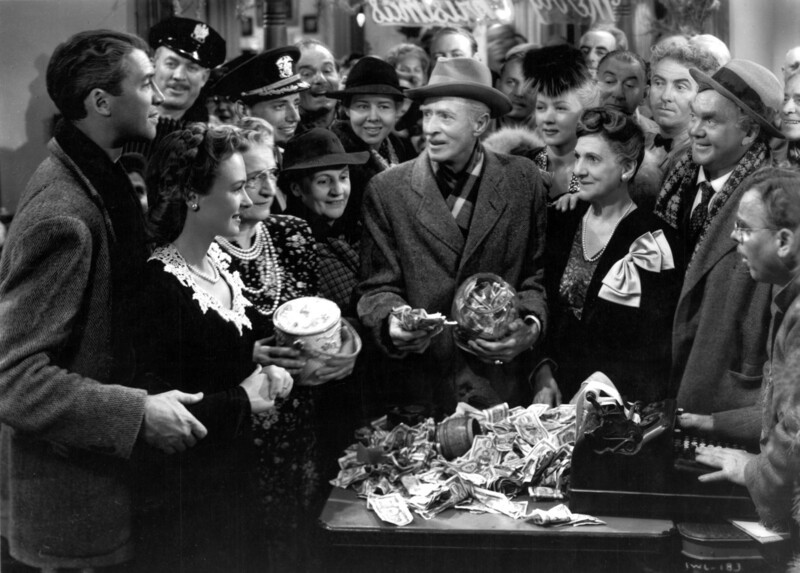 However, most Americans now begin celebrating Christmas in earnest after Thanksgiving, and the weeks and days prior to Christmas consist of one Christmas party after another. Then on Christmas day, people are taking down their decorations, you see Christmas Trees on the curb waiting to be carted off to the dump, you cease hearing Christmas music on the radio usually by noon at the latest, and the time leading up to Christmas is observed in a manner that is completely opposed to the traditional order of things. The forty days prior to Christmas period is supposed to be a time of prayer and fasting. It is not as strict of a fast as Great Lent, but it is certainly not supposed to be the marathon of gluttony that it has become in the popular culture. For those of us on the Old Calendar, this made even more difficult by the fact that our fast continues until it is broken on January 7th, according to the civil calendar (which is December 25th on the Old Calendar). So how should Orthodox Christians deal with this situation? We have family, friends, and co-workers that regularly invite us to participate in these parties, but how are we to keep the fast and prepare properly for the celebration of the Nativity of Christ? Obviously, we should make the effort to keep the fast, but how one goes about it is a question of wisdom, and so let me lay out how I approach it, keeping in mind that there are other ways that one could approach some of these issues. 2. We should not make a show of our fasting, nor should we going around with a sour look on our faces, complaining about how hard it is to keep the fast (Matthew 6:16-18). 3. Fasting is not an end in and of itself, but a means to an end. There are some (rare) circumstances in which it is better to break the fast than to be lacking in love for others. There are also some circumstances in which breaking the fast might be necessary for some other reason (e.g., ill-health, or extreme circumstances such as those serving in the military, and unable to fast due to the demands of their duty, etc). If it happens to be a fast day, and some non-Orthodox loved one surprises you with a special meal that they went to great pains to prepare and they did not know it was a day that you should not eat most of what they have fixed, this would probably be one of those rare instances in which it would be better to break the fast than to hurt them by insisting on keeping the fast. However, one should not make a point of visiting as many non-Orthodox family and friends as you can during the fasts, and then using charity as an excuse to regularly break the fast. Furthermore, while it is true that we should not make a show of our fasting, if you are in regular contact with family or friends who are not Orthodox, I think it is a practical necessity to let them know that there are many times during the year when you cannot eat certain kinds of foods. You don't need to make a big deal about it. You certainly shouldn't demand other people accommodate you, and prepare special meals for you, but if you are going to keep the fasts, you will have to gently let them know that this is how things are with you. Especially in recent times, the idea that people have special diets is not uncommon. If you are asked why you are not eating certain kinds of foods by people you really do not know, it is probably better to simply say that you are on a special diet (which is certainly true during the fasts), or to just say, "I can't eat that." Most people who don't know you, will probably not probe further. However, if they do, just answer the questions they ask without making a bigger deal about it than necessary. You should just not go out of your way to inform people you are fasting, when there is no need for them to know. If you work around non-Orthodox people, on a regular basis, I think it is likewise practically impossible to keep the fasts without eventually letting them know about it. Especially during the time between Thanksgiving and Christmas, there is often a steady flow of non-lenten food that is brought to the office. The intentions of those who bring these foods are friendly, but you can gently refuse these things with a smile and good humor, without offending anyone. If there is an office party during a fast, you don't want to draw any more attention to yourself than is necessary, and you should not ask anyone else to plan such things to accommodate you, but you can be sociable and participate in these meals by looking for what is available that is lenten (usually, there are at least some vegetables, and maybe some chips and salsa (fairly standard fare in Texas, at least). You can also make a point of bringing something yourself that is lenten. And when the fast finally does come to an end, you can then invite non-Orthodox friends and family to come and join you in celebrating the feast. For example, most parishes have some sort of a Christmas party (a "Yolka") on the Sunday after Christmas. This is a great opportunity to invite such people to visit your Church and join in the fun. Maybe you could also bring some donuts to work on the first day after Christmas that you are back on the job, and offer them to your coworkers, for a change. It is important to fast, but it is also important that we joyfully celebrate the feasts, and if we want others to be attracted to our faith, we should make sure that we do not leave them with the impression that we just fast a lot, but that we also know how to enter into the joy of our feasts at the end of those fasts. 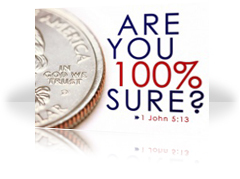 Question: "Often in Protestant circles and Bible studies one will reference 1 John 5:13, “These things I have written to you who believe in the name of the Son of God, that you may know that you have eternal life." This is a verse that they claim as a basis for having complete assurance of their salvation. What is the Orthodox teaching on this passage?" This sort of thinking is something that has emerged from a strange Protestant mix of Arminianism and Calvinism. Calvinism teaches that God has decreed before all eternity who will be saved and who will be damned, and so obviously, if you are among the elect, there is nothing you could possibly do to become unelected. But a Calvinist would say that those who are elect will show the fruits of their election at some point before they die, and begin to live like Christians. Arminians, on the other hand deny that God determines who will be saved, and that the offer of salvation is open to everyone, and that furthermore, one can fall away from God and lose their salvation. Most Baptists are partially Calvinistic and partially Arminian -- they believe that salvation is open to all, but that once who are saved, you cannot lose your salvation. You could "steal a horse and ride it into heaven." And for those who have bought into this perspective, the idea of eternal security is something they believe in very strongly. And in fact, they seem to have a hard time understanding how anyone could have any confidence in their salvation if they did not have the absolute assurance that they could not possibly lose their salvation. "The soul that sinneth, it shall die. The son shall not bear the iniquity of the father, neither shall the father bear the iniquity of the son: the righteousness of the righteous shall be upon him, and the wickedness of the wicked shall be upon him. But if the wicked will turn from all his sins that he hath committed, and keep all my statutes, and do that which is lawful and right, he shall surely live, he shall not die. All his transgressions that he hath committed, they shall not be mentioned unto him: in his righteousness that he hath done he shall live. Have I any pleasure at all that the wicked should die? saith the Lord God: and not that he should return from his ways, and live? But when the righteous turneth away from his righteousness, and committeth iniquity, and doeth according to all the abominations that the wicked man doeth, shall he live? All his righteousness that he hath done shall not be mentioned: in his trespass that he hath trespassed, and in his sin that he hath sinned, in them shall he die" (Ezekiel 18:20-24). Question: "Doesn't Ezekiel 16:49 make it clear that the sin of Sodom was inhospitality rather than homosexuality?" "Behold, this was the iniquity of thy sister Sodom, pride, fullness of bread, and abundance of idleness was in her and in her daughters, neither did she strengthen the hand of the poor and needy." 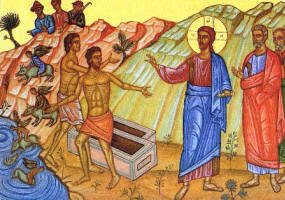 "And they were haughty, and committed abomination before me: therefore I took them away as I saw good" (Ezekiel 16:50). The word "abomination" in Hebrew is "tô‛êbah," which was discussed in some detail in a previous article (Stump the Priest: Shrimp and Homosexuality). In every other case in the book of Ezekiel in which the singular of tô‛êbah is used, it is in reference to sexual immorality (Ezekiel 22:11; 33:26). Clearly, the abomination that is refereed to here is that of sexual immorality in general, and homosexuality in particular. This is how the famous medieval Jewish commentator Rashi understood that text as well (see Robert Gagnon, Why We Know That the Story of Sodom Indicts Homosexual Practice Per Se). Likewise, the Jewish philosopher Philo, who was a contemporary of Christ, understood the sin of Sodom to be homosexuality (Abraham 133-141). 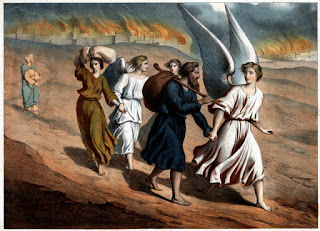 "...as Sodom and Gomorrah, and the cities around them in a similar manner to these, having given themselves over to sexual immorality and gone after strange flesh, are set forth as an example, suffering the vengeance of eternal fire" (Jude 7). "The unnatural lust in which the Sodomites indulged was homosexuality..." (Commentary on Jude, quoted in Ancient Christian Commentary on Scripture: New Testament, Vol. XI, Gerald Bray, ed. (Downers Grove, IL: Intervasity Press, 2000) p. 251). St. John Chrysostom likewise connects the sin of homosexuality with the condemnation of Sodom in his homily on Romans 1:26-27. Question: "I heard you mention a way to memorize the psalms with singing, and I wondered if you elaborate on that?" Singing is a very effective tool for memorization and instruction in general. I have posted previously about how Handel's Messiah can be useful in helping one to memorize Scripture, and in the hymns of the Church we sign verses from the Psalms, such as in Prokimena, and we also sing entire Psalms. By singing the Psalms, you can make memorizing them much easier then simply memorizing them as texts, and singing the Psalms is itself a spiritually edifying endeavor that the Apostles repeatedly encourages us to engage in (Ephesians 5:19; Colossians 3:16; James 5:13). Here are some practical tips on how to go about this. First of all, it is important to use a consistent translation. I prefer the "Boston" Psalter, for the reasons laid out in my article on Translations. This text was written by Archbishop Averky for use at Holy Trinity Seminary, and has been used to train seminarians there ever since. But now, with the publication of the text in English translation, this indispensable text is available to the English speaking Orthodox world. 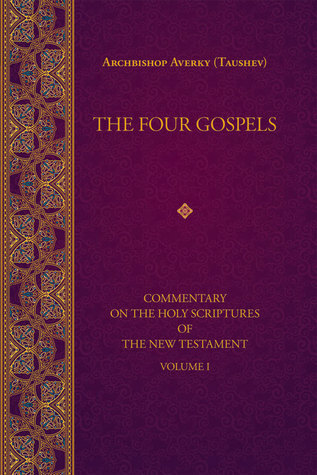 This text has some similarities to the text "The Life and Times of Jesus, the Messiah" in that it covers the contexts of the Gospels, chronologically, and shows how the four Gospels complement one another. But this text also provides a window for English speakers on pre-revolutionary Russian Biblical scholarship, and also brings the commentaries of the Fathers to bear on the subject. Archbishop Averky shows a familiarity with Protestant biblical scholarship, as well. 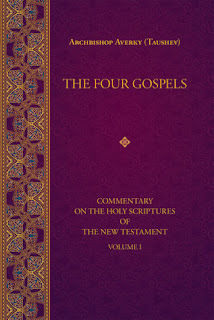 One could read the commentary cover to cover simply to gain a better understanding of the Gospels, but it also can be used as the starting point for the study of any given passage of the Gospels. Particularly when studying the synoptic Gospels (Matthew, Mark, and Luke), looking at parallel passages can provide deeper insights into a passage. This text helps connect those parallels, and helps one understand how these parallels should be understood together, through the perspective of Holy Tradition. It is a text that would benefit any pious laymen, but which should be a go to reference for Orthodox clergy. I look forward to seeing the subsequent volumes in this series published as well. Question: "What does St Paul mean when he says "Let your women keep silence in the churches: for it is not permitted unto them to speak; but they are commanded to be under obedience as also saith the law" (1 Corinthians 14:34)? Does this mean that women cannot direct or sing in the choir?" Interpreting this passage is complicated by the fact that it is in the context of a discussion of how speaking in tongues and prophecy were to be handled during the services of the Church, and yet because of the abuse of these practices by those who were suffering from spiritual delusion, the Church ceased to allow such things to be done in the context of the services altogether. Furthermore, because women who claimed to have the gift of prophecy were very prominent in the Montanist heresy (which began in the second century), in many of the comments about this passage you find in the Fathers, they are using it polemically. And so it may be that polemics led some to take the view that this passage means that women should refrain not only from speaking in prophecy or singing audibly in the Church, but even from praying audibly. However, this view was not unanimously held. "For there were, as I said, both men who prophesied and women who had this gift at that time, as the daughters of Philip, (Acts 21:9) as others before them and after them: concerning whom also the prophet spake of old: “your sons shall prophesy, and your daughters shall see visions” (c.f. Joel 2:28 and Acts 2:17 -- from Homily 26 on 1 Corinthians). In his 37th homily on 1 Corinthians (which covers 14:34), he says that the prohibition is directed against women speaking "idly," or "inconsiderately" (i.e. out of the proper order discussed earlier in chapter 14), but he does not suggest that the statement prohibits women who had the gift of prophecy from prophesying in Church. "If any man speak in an unknown tongue, let it be by two, or at the most by three, and that by course; and let one interpret. But if there be no interpreter, let him keep silence in the church; and let him speak to himself, and to God (1 Corinthians 14:27-8). Clearly in this case, St. Paul is not making an absolute ban on such a person speaking in Church -- he is only forbidding him to speak in tongues if there is no one to interpret (in which case no one else would receive any edification). And so the silence is with regard to speaking out of good order. "Let two or three prophets speak, and let the others judge. But if anything is revealed to another who sits by, let the first keep silent. For you can all prophesy one by one, that all may learn and all may be encouraged. And the spirits of the prophets are subject to the prophets. For God is not the author of confusion but of peace, as in all the churches of the saints" (1 Corinthians 14:29-33). When it speaks of letting the others judge, this suggests that after a person would prophesy, others would comment on it -- most likely this would have been done by those who had charge of the Church (certainly an Apostle, if present, and the local bishop, presbyters, and deacons). Probably some would ask questions about what was said. It is in both of these respects that St. Paul is telling women to keep silence, and if they had questions to ask their husbands about it later -- but this meant keeping silence with regard to these specific things. And St. John Chrysostom's comments about refraining from idle talk were certainly also applicable here. St. Ephrem the Syrian actually formed women choirs in Edessa (see "Spoken Words, Voiced Silence: Biblical Women in Syriac Tradition, by Susan Ashbrook Harvey). According to Fr. Robert Taft (a noted historian of Eastern Liturgics), there was also a woman's choir in the Hagia Sophia (Interview of Sister Vassa Larin, "Orthodoxy is not a Religion of Fear"). It is also a fact that without women singers and choir directors, many parishes would be hard pressed to pull off a decent service, and so even if you could make the argument that in an ideal world, choirs would consist of only tonsured male readers, the problem remains that we do not live in such an ideal world, and have to use the resources that we have. St. Paul's concern in his first epistle to the Corinthians was that "all things be done decently, and in good order" (1 Corinthians 14:40). If our interpretation of his admonitions leads us to the opposite effect, then I would suggest this means we are misreading him on some level. When a baby girl is baptized, she is Churched. And in that service, the priest brings her into the middle of the Church and says "In the midst of the church shall she sing praises unto Thee" (c.f. Psalm 21:22). It is hard to imagine why we would say this if we did not intend that it should actually happen. 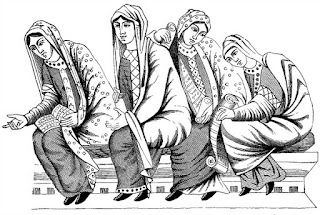 Since this article was originally posted, someone referred me to "Female Deacons in the Byzantine Church," by Valerie A. Karras, which provides further information about the women choir in the Hagia Sophia, but also about similar choirs in the Church of the Holy Sepulchre (more properly, the Church of the Resurrection) in Jerusalem, and the Cathedral in Thessaloniki. I would take issue with the title of this article, because a Deaconess was not a female form of Deacon, but a very different office, but the article contains good information on the subject women choirs. On Montanism: See Eusebius' Ecclesiastical History, 5:16. On Montanus: See the Dictionary of Christian Biography, s.v. "Montanus". Question: "What were the sources of doctrine for the Israelites in the Old Testament? Was it Tradition, or Scripture?" We are told by St. Paul that God,"at sundry times and in diverse manners spake in time past unto the fathers by the prophets..." (Hebrews 1:1). And so there were a number of ways that God revealed Himself and taught the people of the Old Testament, and this changed over time. At various times in the Old Testament there were instances of direct revelation, in which God communicated directly with specific people. This was of course not something that happened everyday throughout the Old Testament. The Old Testament focuses on these instances, and so it is easy to get the impression that God was constantly working wonders and speaking to His prophets, but a more careful examination will show that these instances punctuated much longer periods of time in which this was not happening. For example, from the time of the death of the Patriarch Joseph, until the time of Moses, there are no recorded instances of any new revelation... and this was a period of nearly 400 years. So what guided the faithful between the periods of direct revelation? Tradition. The book of Genesis, for example, records God's revelation of Himself to Adam and Eve. 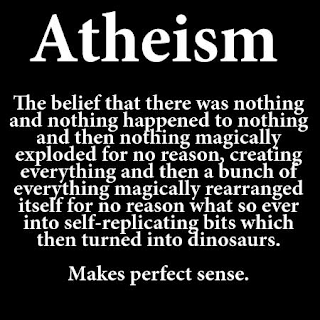 But thousands of years would have passed before these things were written down. They were preserved by oral tradition by those who were faithful... and in turn, we believe that the Holy Spirit guided the preservation of these oral traditions. Eventually things began to be written down, and over time books of the Old Testament came to be recognized as authoritative and inspired records of these traditions. However, because these revelations were yet incomplete, God continued to provide new direct revelation through His prophets to correct the errors of the people, and to continue to prepare them for the coming of the Messiah. But what about the "traditions of men" that Christ condemned in the Gospels? Of course, not all traditions are of equal weight, but if there was no reliable Tradition, we would have no reliable Scripture. 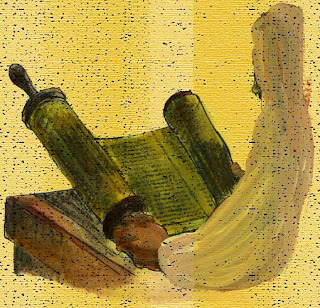 The books of Scripture were produced by Tradition, and they were preserved by Tradition. We have no original copies of any books of the Bible. However, we believe that the Holy Spirit inspired the Tradition that formed Scripture, and we believe the Holy Spirit has preserved the Scripture as well. It was also by Tradition that the Israelites knew which books of the Bible were inspired, and which ones were not. The problem with the traditions of men that Christ condemned is that they were "of men" and were a distortion of the authentic Tradition inspired by God. But clearly there had to be an authentic Tradition, preserved by the faithful (which at times was only a small remnant, but which continuously passed the Tradition on). An example of this can be seen in the worship of the Old Testament Tabernacle, and later in the Temple. In the Law of Moses, there is a lot of detail given about Israelite worship, but primarily what is described was for the benefit of the people. Little detail is given about how sacrifices were actually performed -- which for non-liturgical Protestants is not so obvious, but for those who are part of a liturgical Tradition, and who have experience performing the services, we know that even books written for priests, with extensive rubrics still require some oral tradition to guide the priests on how to actually do them. There is almost nothing of that sort in the Law of Moses -- probably to guard against those who were not priests attempting to illicitly perform them. And yet, when two of Aaron's sons violated God's instructions on how worship was to be done, they were struct dead by God (Leviticus 10:1-7 -- see also "Does God Care How We Worship?"). We are not told in Scripture exactly what Nadab and Abihu were supposed to have done, nor exactly what they did wrong, only that they they offered "strange fire" which the Lord had not commanded them to do. Clearly, the priests knew what they were supposed to do, and this was by Tradition that was not written down... at least not in any text that became part of Scripture, and yet it was authoritative enough to be the cause of killing two priests who failed to abide by it. So to answer the question of what sources were used by the Israelites for doctrine, we would have to specify which point in their history to more fully answer that question. But after the Old Testament Scriptures began to be written down, it was not a question of Scripture or Tradition, but of Tradition that was both written and unwritten. Question: "Does the Orthodox Church believe Christians are gods in an embryo form? I am troubled by this notion, because it is a fundamental concept of Spiritualism." We believe that there is only one God in Trinity -- the Creed should be clear enough on that. God is alone God by nature. However, we do believe that we can become divine, or like God, by grace. This is well founded in both Scripture and Tradition. "Whereby are given unto us exceeding great and precious promises: that by these ye might be partakers of the divine nature" (2 Peter 1:4). And Scripture speaks of men as being "gods" in some sense (Psalm 81:6; John 10:34-36). St. Irenaeus (who reposed in 202 A.D., and was taught by St. Polycarp, who was in turn a disciple of the Apostle John), wrote that Christ became "what we are, that He might bring us to be even what He is Himself" (Against Heresies, Book V, preface (ANF, p. 526)). 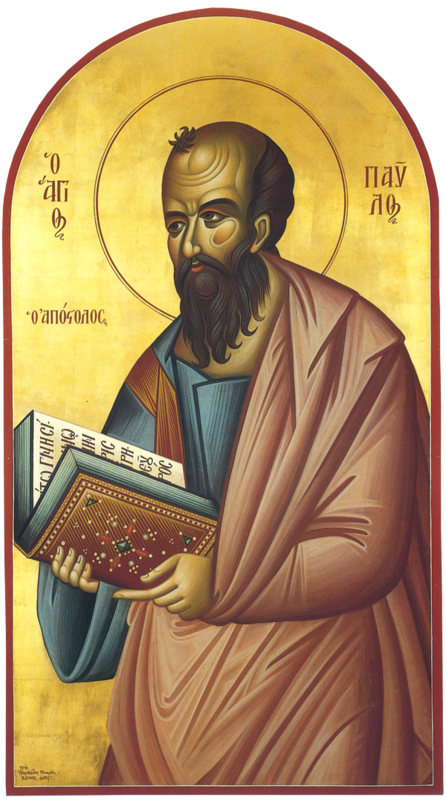 This is almost identical to the better known statement from St. Athanasius the Great: "For He was made man that we might be made God" (On the Incarnation, 54, NPNF2, p. 65). Many similar quotes from other Fathers could be cited. 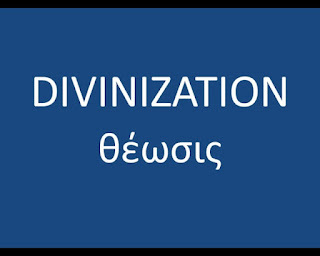 This teaching is called "Theosis" or "Divinization." "Since, then, the union between God and the human beings that he has created is a union neither according to essence nor according to hypostasis, it remains thirdly that it should be a union according to energy. The saints do not become God by essence nor one person with God, but they participate in the energies of God, that is to say, in his life, power, grace and glory" (The Orthodox Way (Crestwood, NY: SVS Press, 1979), 168). One cannot read what the Fathers have to say on this subject and conclude that they believed that man could become God in the same sense that the Trinity is God. Mainstream Protestant theologians have generally recognized that there is nothing objectionable in the Patristic understanding of Theosis, unlike the odd teachings of groups like the Mormons, who actually do believe that men can be gods by nature (see, for example, Mormons and Patristic Studies, by Chris Welborn). Theosis: The True Purpose of Human Life, by Archimandrite George of St. Gregorios Monastery, Mt. Athos. Stump the Priest: What's so Great about Certain Saints? This is certainly not something limited to the Orthodox. I think pretty much all Christians have historically distinguished between Herod “the Great” and Herod Archelaus, Herod Antipas and Herod Aggripa. Even in the Gospels we find reference to “James the Less” (Mark 15:40) to distinguish him from the more prominent James, the Son of Zebedee. There are quite a few saints with the name "Athanasius", and each of them is referred to with some additional words to clarify who were are talking about. For example, there is St Athanasius of Serpukhov; St. Athanasius the Younger, Patriarch of Constantinople; the Martyr Athanasius of Melitene; St. Athanasius “the Resurrected One”, the Recluse of the Kiev Near Caves, etc. 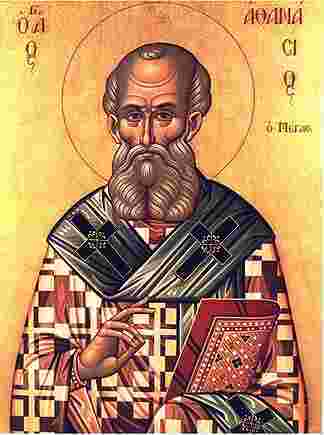 However, there is St. Athanasius the Great, who was the great champion against the Arian heresy. Now if St. Athanasius went around calling himself "the Great", then there would be something worth criticizing. But the fact that the Church has called him "the Great" is simply an acknowledgment of the crucial role he played in the defense of Orthodox theology. We could say much the same about St. Anthony the Great, or St. Basil the Great. There are many saints with the names "Anthony" and "Basil", but these two stand out from among them, though they would never have referred to themselves in this way. St. Paul points out that "one star differeth from another star in glory" (1 Corinthians 15:41), and so it is with the saints. Most saints are not even known by name, but some saints stand out with a special brilliance, and there is nothing wrong with our noting this fact. 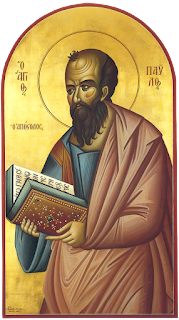 Tuesday, October 20th, 2015 will mark the 90th anniversary of the repose of our parish's patron saint, St. Jonah of Manchuria. On the eve, Monday, October 19th, at 6:30 p.m., we will have a Hierarchical Vigil, with Bishop Peter presiding. On Tuesday morning, at 9:00 a.m., we will have the Hierarchical Liturgy, followed by a festal meal. At 7:00 p.m, we will have a choral performance at the Centrum. The choir will consist of members of the choirs of St. Jonah, St. Anthony, St. Sava, and St. Joseph, directed by Demtra Durham. The Houston Balalaika Society Orchestra will be performing during the reception that will follow. To hear a sample from a previous choral performance, click here. The recording device was not really up to the job, and does not do the original sound complete justice, but it does give you some idea of the beauty you can expect at this performance. For directions to St. Jonah, click here. For directions to the Centrum, click here. For updates on the performance, go to the Facebook Events page by clicking here. Also, on Sunday, October 25th, after the Sunday Liturgy, we will have our annual parish picnic. The pertinent part of the interview begins at about the 2 minute mark. He says, in short, what Russia is doing may save the lives of Christians. If the Assad government were allowed to collapse, it would mean the slaughter of Christians, and an increase of refugees. He no doubt takes this view because his organization, Samaritan's Purse, has been on the ground in Syria, trying to help the people. If you ask any Syrian Christian about this, you will find that they support Russia's intervention. 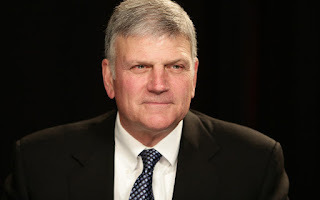 Franklin Graham is a prominent Evangelical Protestant leader in his own right, and the son of Billy Graham. See also this article from Christianity Today. 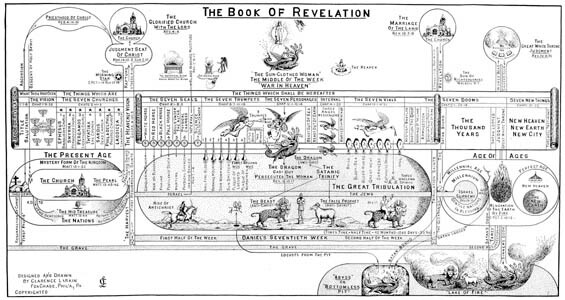 One of many charts from the premillennialist book "Dispensational Truth"
Question: "Why do the Orthodox adhere to Amillennialism, when it is so obvious that Satan is alive and active now and not confined. The following fathers were premillenarians: Justin Martyr, Melito, Hegesippus, Tatian, Irenaeus, Tertullian, Hippolytus and Apollinaris. So why is Chiliasm a heresy?" Of the names that are listed, I do not believe there is any clear evidence that St. Hegesippus held premillennialist views. St. Hippolytus actually changed his mind on this question, in favor of rejecting premillennialism. Tatian, Tertullian, and Apollinaris all ended their lives in heresy and schism, and so their views were clearly not mainstream. "I admitted to you formerly, that I and many others are of this opinion [that there will be a future millennial reign of Christ], and [believe] that such will take place, as you assuredly are aware; but, on the other hand, I signified to you that many who belong to the pure and pious faith, and are true Christians, think otherwise" (Dialogue with Trypho LXXX). "He shall be great, and shall be called the Son of the Highest: and the Lord God shall give unto him the throne of his father David: and he shall reign over the house of Jacob for ever; and of his kingdom there shall be no end" (Luke 1:32-33). "His dominion is an everlasting dominion, which shall not pass away, and his kingdom that which shall not be destroyed (Daniel 7:14b). "But the rest of the dead lived not again until the thousand years were finished" (Revelation 20:5). "And when the thousand years are expired, Satan shall be loosed out of his prison, And shall go out to deceive the nations which are in the four quarters of the earth, Gog, and Magog, to gather them together to battle: the number of whom is as the sand of the sea. And they went up on the breadth of the earth, and compassed the camp of the saints about, and the beloved city: and fire came down from God out of heaven, and devoured them. And the devil that deceived them was cast into the lake of fire and brimstone, where the beast and the false prophet are, and shall be tormented day and night for ever and ever" (Revelation 20:7-10). "When the Son of man shall come in his glory, and all the holy angels with him, then shall he sit upon the throne of his glory: And before him shall be gathered all nations: and he shall separate them one from another, as a shepherd divideth his sheep from the goats" (Matthew 25:31-32). "For this we say unto you by the word of the Lord, that we which are alive and remain unto the coming of the Lord shall not precede them which are asleep. For the Lord himself shall descend from heaven with a shout, with the voice of the archangel, and with the trump of God: and the dead in Christ shall rise first: then we which are alive and remain shall be caught up together with them in the clouds, to meet the Lord in the air: and so shall we ever be with the Lord" (1 Thessalonians 4:15-17). "...when the Lord Jesus shall be revealed from heaven with his mighty angels, In flaming fire taking vengeance on them that know not God, and that obey not the gospel of our Lord Jesus Christ: Who shall be punished with everlasting destruction from the presence of the Lord, and from the glory of his power" (2 Thessalonians 1:7b-9). See also 1 Corinthians 15. "By the number one thousand years by no means is it reasonable to understand so many years. For neither concerning such things of which David said, "the word which he commanded for a thousand generations" [Psalm 104:8] are we able to count out these things as ten times one hundred; rather they are to mean many generations" (Andrew of Caesarea,trans. Eugenia Scarvelis Constantinou, Andrew of Caesarea, Commentary on the Apocalypse, (Washington, D.C.: Catholic University of America Press, 2011) p. 206). St. Andrew of Caesarea says that this binding is what Christ spoke about in which He said that to spoil the house of a strong man, the strong man must first be bound (Ibid, p. 205f, cf. Matthew 12:29; Mark 3:27; Luke 11:21-22). This statement, in all three of the Synoptic Gospels, is in the context of Christ speaking of the power by which He caste out demons. Most Christians, including Protestants, claim to believe the Nicene Creed, and the Nicene Creed is unambiguous on this point, and its statement that Christ "Kingdom shall have no end" is taken straight from Scripture. Some early fathers, who did not have the benefit of the instruction of the Second Ecumenical Council, have some excuse for being mistaken on this point; but now we have no such excuse. 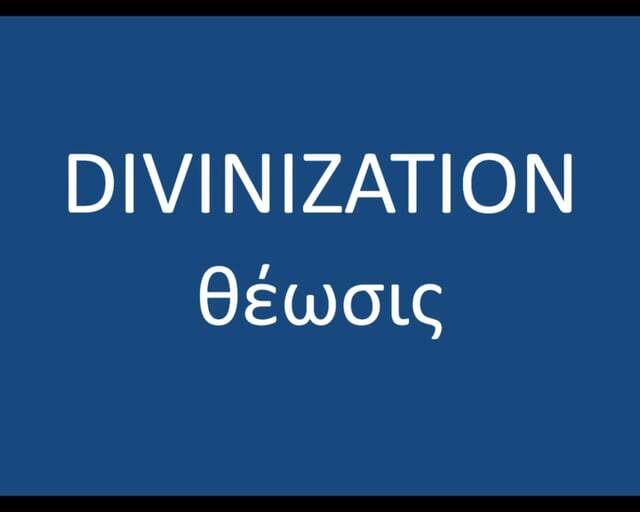 The problem with premillennialism is that it tended to feed into other heresies, such as Montanism, which believed that Montanus was the Holy Spirit incarnate, and which believed that the Kingdom of God was soon to come to be established in Phrygia. We have seen similar heresies with millenialist eschatology in more recent times, with the Jehovah's Witnesses, Seventh Day Adventists, Mormonism, the Jim Jones Cult, and Branch Davidians. Given the excesses this view has tended to produce, the Church felt it necessary to clearly define the matter.